Apple’s ARKit received a lot of attention when it launched with iOS 11 as it encouraged developers to build augmented reality apps and games. There are some amazing AR apps on the App Store with more coming every month. The latest to catch our eye is a game called Spacewar Uprising. Developed by Tresreis Games, a game studio based out of Kerala, Spacewar Uprising is a science fiction game where you control a spaceship that’s on a mission to save Earth from certain annihilation. The game’s story shows Earth being attacked by alien spaceships from a fictional galaxy called Clomozavendra. The enemy is headed by an alien called Clomatandria who is hell bent on destroying Earth. In the game, our planet’s best scientists invent a device called X-Castera that prevents Clomatandria from destroying the planet. Your mission is to destroy all invading spaceships that are after X-Castera. The plot is quite basic but it gives the player enough of a purpose to play the game. There are several unanswered questions with the story, but we’ll get to those later. Spacewar Uprising requires access to your iPhone or iPad camera for the AR mode to work. 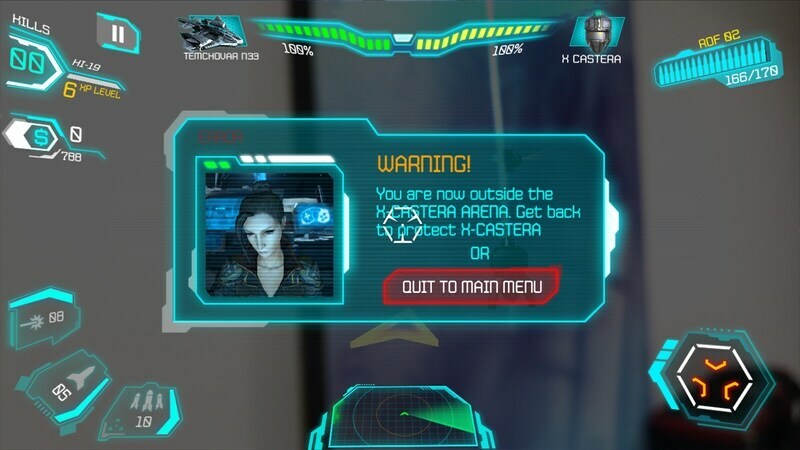 You scan any flat surface and the game will ask if you want to place X-Castera on that surface. The game tells you to find a safe space before you start playing and we should note that you need a large area to play this game properly. If you’re cramped for room at home or at work, try playing this outdoors. You will have to walk around to collect chips and to move your spaceship. While the AR part is a lot of fun, your environment makes a big difference too. Once we were busy attacking enemy spaceships when a person walked past and thought we were clicking their picture. So you might need to be careful about the place where you are playing this game. The gameplay is quite simple overall. Alien portals will keep opening up around you and their spaceships will appear from there. You can look at the mini-map or the big arrow on screen to find these ships and you press buttons on screen to fire one of four weapons to destroy them. Once they’re destroyed, you can walk towards the chips they drop and this serves as in-game currency. You need 750 chips for the most powerful ship (or you can buy chips via an in-app purchase). You can also collect shields for your ship (just walk towards the big blue globe for this) and the shield will disappear after a short time. The four weapons are a standard laser that fires like bullets, more powerful continuous laser burst, single missile, and a group of six missiles. The standard laser is practically unlimited but it takes some time to reload after you exhaust a clip of around 170. The other weapons are quite limited. Even the most powerful ship won’t give you more than 15 of each. Each game in Spacewar Uprising is essentially an endless stream of enemy ships that pop up either on their own or in groups of two. You and X-Castera have only 100 hit points so it is going to be difficult to protect both. So far, our high score is 25 kills and you will need the most powerful ship and some quick reflexes to reach the maximum of 50 kills. Dodging is easy but your limited heavy weaponry is going to make it challenging to reach 50 kills before X-Castera is destroyed. We really enjoyed playing Spacewar Uprising and got so immersed in the game that others in office and outside thought we’d lost our mind. The problem with AR games is that they can make you look stupid in a public space, so once again our advice is to find a good spot where you can play without being bothered. However, the game does have its share of flaws. There’s a bug that makes all chips fall in the same place. The developers have said they’ll fix this and the chips will fall in different places. At times we got an error saying you’ve left the mission area when we were very much in the same location. Also, the game needs to do a better job of defining how many ships the player will be facing to keep people from getting disheartened because every time you lose, you see a message saying that you failed to protect the planet. No one wants to see that again and again especially after destroying 20 ships without any sort of a health recharge. Spacewar Uprising should consider giving players at least one health boost or one repair for X-Castera. These flaws are bearable, but the gaps in the story are a bit more annoying. In Spacewar Uprising, you are protecting Earth against nearly endless waves of alien ships but where is your support? We’d have liked to see one or two ships dropping by to help us out. But that’s not a big deal. We spoke to Tresreis Games about the game’s end goal and the developer Bony Raj told us that if you manage to destroy 50 alien ships, you’ll see the game’s “ending” that is essentially a placeholder at this point. If the game succeeds, the developers have promised to add a boss fight against the villain Clomatandria. Until then, the story remains incomplete. In the app description, the developers say, "The enemy battleships are endless.” That’s not technically true but to be fair, it will take a lot of skill and some luck to reach the 50-kill streak and the game’s ending. 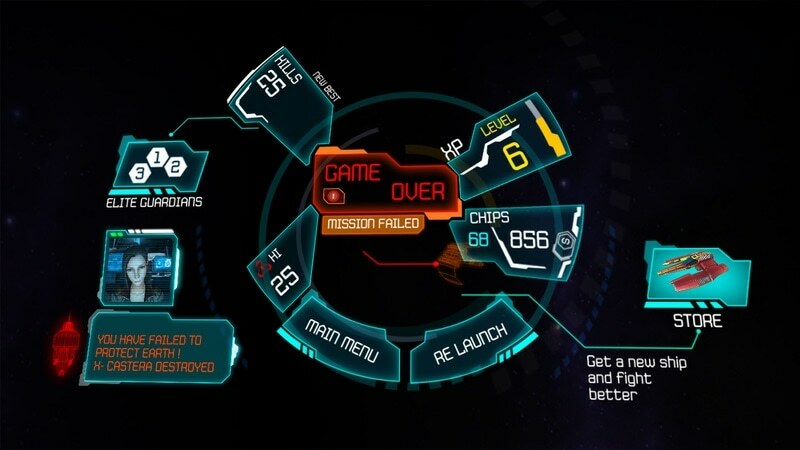 However it could lead to some people interpreting Spacewar Uprising as an incomplete game. The developers did establish the story very well at the beginning and we wish they’d done the same at the end. However, the core gameplay is quite smooth. We tested Spacewar Uprising on an iPhone 6s, an iPhone 7, and an iPad Pro 10.5-inch, and the game ran smoothly on all three devices. The visuals are quite impressive too with nice 3D ships, alien portals, and of course — X-Castera. We’re quite pleased to see this level of visual fidelity on a mobile game coming from an Indian studio. 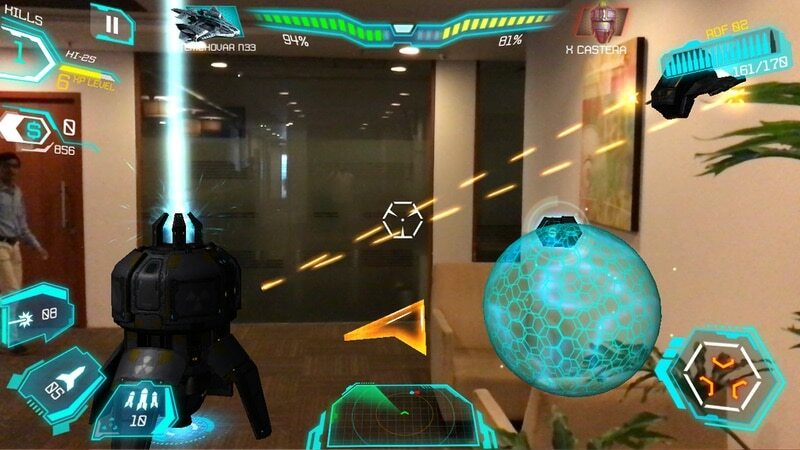 Spacewar Uprising is a fun AR game with a fair price of Rs. 159 on the Indian App Store. We think the game offers enough content and its AR implementation has been done nicely. Its flaws include an incomplete story, lack of restorative items, and some minor bugs. In spite of those shortcomings, the production quality and excellent gameplay make it worth playing. Gadgets 360 played a review copy of Spacewar Uprising on the iPhone 6s, iPhone 7, and iPad Pro. The game is available via the App Store at Rs. 159 in India and $1.99 in the US. 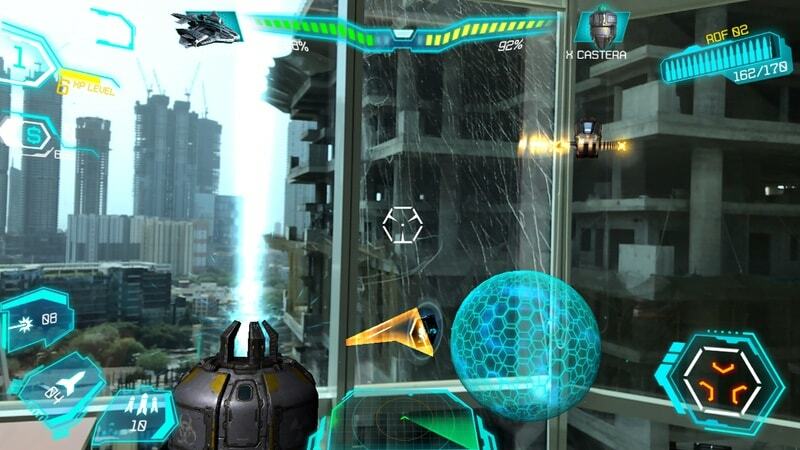 product Developed by a Kerala-based studio, Spacewar Uprising has a fun science fiction story.